Zinedine Zidane will head into a Champions League final, 14 years after scoring that wonder goal, but this time as manager. 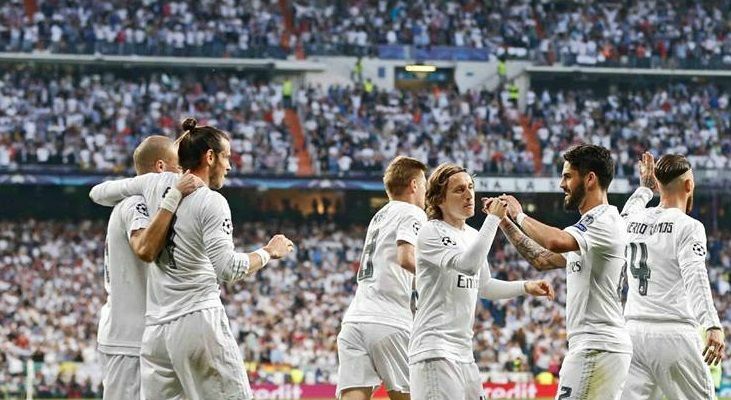 Real Madrid outplayed Manchester City over the two legs in every department, but on the night it was the Modric-Kroos pivot that proved too much for City to handle. Cristiano Ronaldo returning to the eleven was the biggest news of the night, but from a tactical standpoint, the absence of Casemiro was the most interesting gap to fill. Zidane drafted in the versatile Isco to field a 4-3-3 with Jese leading the line in the absence of Karim Benzema. The idea was obvious - Jese would provide the pivot for the converging forces of Gareth Bale and Cristiano Ronaldo. Man City lined up in their usual 4-2-3-1 formation with one change from the first leg. A hamstring injury kept David Silva out and in came Yaya Toure, playing just off Sergio Aguero as Jesus Navas and Kevin de Bruyne took responsibility of the flanks. Very rarely do we see such a discrete 4-3-3, in which the 3-man midfield is completely in isolation from the 3-prong attack. But that is exactly how Real Madrid had set up. Luka Modric and Toni Kroos were sitting almost near the half-line and yet orchestrating every Real Madrid move. During the match Spanish newspaper AS tweeted, “Watching Man City play gave a good idea why Leicester City won the Premier League”. Aye, it was tongue in cheek, but the way Modric ran the show, always finding pockets of space to operate in, underlined why English clubs have struggled in Europe and continue to remain tactically naive. After succeeding with a counter-punching style against PSG in the quarters, City went into the game with a very disoriented game-plan. They would neither sit too deep nor press with too much intensity and just hoped to get an away goal on the night. But trying to achieve that without cutting off Madrid’s creative lines was foolhardy. And it wasn’t like City didn’t have the personnel to throttle the Madrid midfield. On paper, a midfield of Yaya-Fernando-Fernandinho against that of Kroos-Modric-Isco should only have one winner. But City never really attempted to take advantage of Madrid’s lightweight midfield. 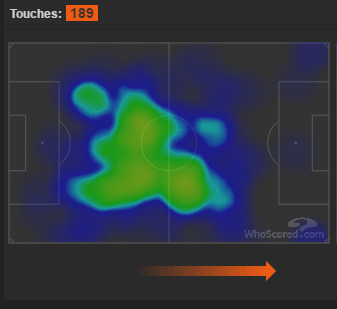 Yaya Toure, who would seem to be the ideal candidate to close down the duo, spent most of the first half roaming in the Madrid half without either closing the midfielders or supporting Aguero in attack for that matter. The Ivorian is a monster of a footballer on his day, but his lack of discipline has hurt City in the past, and this was no different. Neither Modric nor Kroos complained though. Kevin de Bruyne had a poor game by his standards, as has been the norm for the Belgian in away games this season. While the poor display in attack was still forgiveable, allowing Carvajal the amount of room and space on the Real Madrid right was anything but. Carvajal went on to make the all-important pass to Bale for the winning goal and continued to get into good positions throughout the first half with de Bruyne leaving him open. 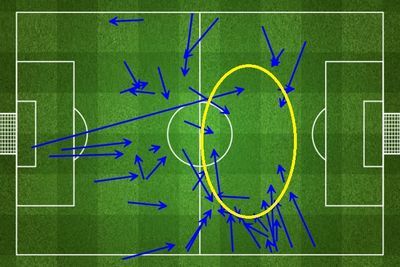 Carvajal went on to make 10 passes in the final third in the first half. The constant 2v1s on City’s left back meant that they looked like leaking a goal any time. Even in attack Man City barely looked sharp enough, with their only couple of threats coming from Navas on the right and a breakaway for Fernandinho. With David Silva missing, the onus was on de Bruyne to be the playmaker ,and despite his position out wide, he rarely influenced the game in a way Pellegrini would have wanted him to. Carvajal got the better of him for the best of the game, and so it was no surprise when Pellegrini decided to force the issue and for a very brief period put KdB in a central attacking role. Unlike Madrid at the starting whistle, it was Man City who were chasing the game and a goal after the break. Pellegrini first removed the ineffective Yaya Toure with Raheem Sterling, a move that brought de Bruyne to his more favored central role. But that shape didn’t last long either as Kalechi Iheanacho was then introduced in place of Jesus Navas and City shifted to a more attack-minded 4-2-2-2 with Sterling and KdB playing on the flanks—possibly a formation they should’ve started with. But even the switch in formation didn’t bring much joy as, just like the first half, there was hardly any support from the fullbacks, who were occupied by Ronaldo and Bale, and the respective Madrid fullbacks. The disjointed formation was also the reason as to why there were no smooth transitions in the Man City attacks. Madrid on their part, recognized the danger posed by two center-forwards, sat back a little deeper as they have so often under Zidane’s stewardship. With the luxury of three quick forwards, Real can convert any turnover into a goalscoring opportunity at the other end, especially with Modric and Kroos pulling the strings. After a lot of edge-of-the-box passing, City managed to create one good opportunity, when Aguero pulled off an astounding solo effort, but it flew agonizingly high. That was that for Man City. Their Champions League campaign ended in a match where they could do nothing right.